The current edition of the Rustenburg Herald issued on 03 August 2018 must surely rank as one of the worst adverts of balanced and fair reporting in the history of journalism. On page 3 of this edition the Herald published an ill informed and malicious article titled ‘Municipality tries to sensor whistle-blowers’. The caption of this amounts to the Herald once more reducing itself to being a mouthpiece of one Frans Rootman whose racist letter is unashamedly published on page 13, thinly disguised as expert commentary on amending the South African Constitution on the land question. This letter amounts to nothing but a disgusting attack on black people by Frans Rootman. The fact that the Herald published such a letter that would make even the Klu Klax Klan proud rubs salt on the wounds opened by its contents. Frans Rootman remarks in this racist diatribe as follows ’That seems to be the message from black citizens. There is no tangible solution on the table other than to steal land from white land owners’. In other words, all that black people want to do is to steal land from whites. We would like to urge residents to read this letter in its entirety. 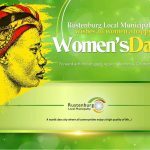 The heading of the article ‘Municipality tries to sensor whistle-blowers’ seems to be based on the much reported developments that unfolded during the Rustenburg Local Council sitting of Tuesday 31 July 2018 and an incident that allegedly took place at the municipal rates hall. The reference to whistle-blowers seems to refer to three EFF Councillors and Frans Rootman. These blatant lies which have been published without bothering to solicit the views of the municipality have to be exposed in order to set the record straight. At the commencement of the meeting Councillor Johannes Motshwane of the EFF raised an objection that he had not received a copy of the Agenda and demanded that the meeting be postponed. An earnest attempt was made by the Speaker to resolve this matter, but it became obvious that Councillor Motshwane and Councillor Jane Mpolokeng were intent on disrupting the Council meeting in order to bring it to an abrupt end. Video footage is available illustrating how the two Councillors went on to insult other Councillors. It is important to firstly clarify the matter of delivery of the Agenda for Council sittings and the removal of Councillors as prescribed in the Rules of Order By- Law of the municipality. For the benefit of all readers the Rules of Order By- Laws were promulgated in the Provincial Gazette on 8 August 2017. 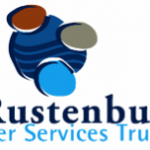 These rules were approved by the Rustenburg Local Council after thorough consultation internally and externally. It is apposite to state that Councillor Motshwane who was once the Whip of the EFF until he was unceremoniously removed due to serious corruption allegations was a member of the Rules of Order committee that presented these Rules for approval of the Council in 2017. The Rules of Order regulate the functioning of the Municipal Council, Mayoral committee, Portfolio committees and general conduct of Councillors. Notice of meetings to be served at least 7 days before any ordinary meeting of the council and at least 48 hours before any special meeting of the council , a notice to attend the meeting specifying the business proposed to be transacted there and signed by the Speaker or Single Whip as contemplated in section 3.3 shall be left or delivered to an accessible distribution point within the municipality as determined by the council from time to time/ sent by electronic mail to an address provided by the councillor as his / her official her official address/ mail address. 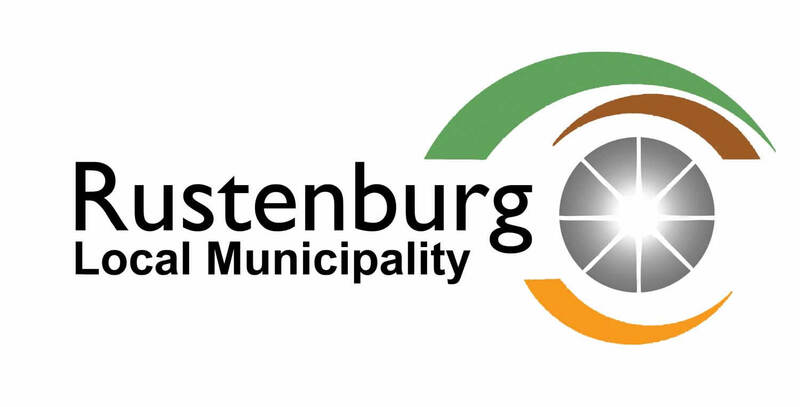 In line with these provisions the Rustenburg Local Council resolved that the Council Agenda will be made available centrally at the Office of the Speaker and that that Councillors will be expected to collect accordingly. Section 73 of the Rules of order dictates that the Speaker shall maintain order during meetings. Efforts by the Speaker to maintain order during the meeting of 31 July 2018 were so severely undermined by Councillor Jane Mpolokeng and Councillor Motshwane that she was left with no option but to invoke provisions of section 85 of the Rules of Order. This section deals with Disorderly conduct and the duty of the Chairperson (Speaker). After making a ruling as provided for in instances of disorderly conduct directing the two Councillors to retire from the meeting (which they defied), the Speaker was left with no option but invoke more stringent measures. The Sergeant of arms is obliged in terms of the Rules of Order to remove any disruptive Councillor as directed by the Speaker. Some of the officers involved in this saga were subjected to serious assault by the two Councillors. Cases of assault with intent to cause Grievous Bodily Harm were opened with the SAPS against the Councillors. Councillor Jane was in fact held in custody and is currently out on bail. We have received numerous complaints from municipal employee who allege that Councillor Mpolokeng regularly threatens to inflict pain on them.The municipality regrets the commotion that arouse during the legitimate removal of the two Councillors due to premeditated unruly conduct. It is expected that further engagements of all political parties will take place in the coming weeks to prevent a recurrence of the fracas that unfolded during the Council sitting of 31 July 2018. An allegation is made against the municipality that Frans Rootman was almost taken into custody by security officers at the municipal rates hall. No such instruction was issued by the municipal administration or Councillors. We only got to learn about this allegation in the Herald. The notion that the municipality has a plan to silence whistle-blowers relating it to what happened during the Council sitting and the untested allegations of Frans Rootman can only be regarded as nefarious. How can Frans Rootman ever be regarded as a whistle blower having illegally received almost R10 MILLION from the municipality? Frans Rootman did not choose to be a whistleblower and dutifully report allegations of Mr. Gustav of GCF who has disclosed in an affidavit that he has paid bribes to secure work from the municipality. Frans Rootman the whistle blower so elevated by the Herald ignored the criminality involved in the GCF saga and negotiated to receive 10 % of payments made to the company by the municipality. Frans Rootman has never come clean on this saga. His friend at the Herald Waldie who holds the powerful position of being the Editor will never pursue this matter. The current edition of the Herald will certainly make Frans Rootman very pleased with himself. He once more has the Herald under his arm. To the extent that Waldie has the audacity to publish a toxic letter which amounts to insults of black people under the guise of media freedom. We intend to lodge an official complaint with the Media Ombudsman about these articles published by the Herald which amount to a complete disregard to universally accepted principles of balanced and fair reporting.